Many people in our community believe that feeling good is an expression of health. So let’s look at the two x-rays below. Both of these people feel good. Both have been in traumatic accidents. Do they both have a healthy spine? 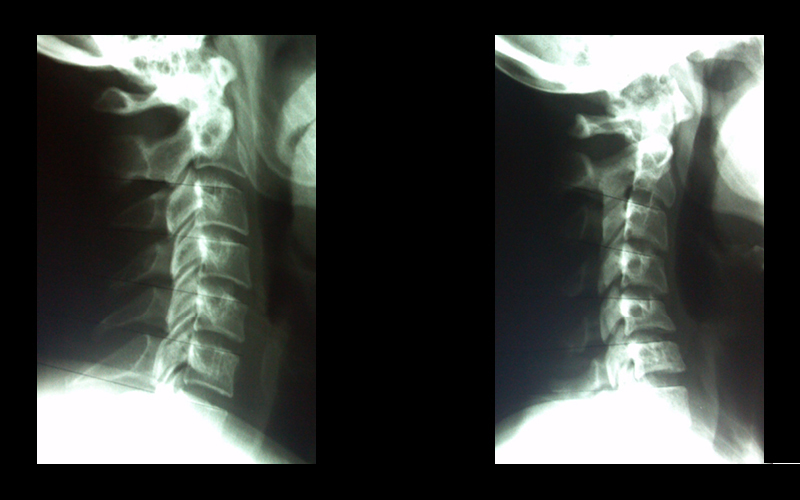 As you can see, the x-ray on the left is a normal cervical curve (lordosis) while the one on the right side has reversed cervical curve (kyphotic). The center of gravity on the left x-ray is located on the bony structures in the back of the neck (that were designed to hold up the head), while the right x-ray has a center of gravity that is over the disks. If we look at the vertebra and their shapes, the left x-ray has good definition without any signs of degeneration but the right xray shows signs of a compression fracture of C6 and anterior degeneration on C4 & C5; all disks seem to have a normal height. Which one of these patients has a better chance of having less problems later in life? Let’s see if you can match up the following facts to the correct xray? Now that you have completed the list which goes to which? That’s right, the x-ray on the right is the author, Dr. Trace Palmer, who has been adjusted on a regular basis all my life. Even through a rough childhood of football, baseball, soccer, wrestling, and college rugby I was able to maintain a healthy cervical spine. A radiologist that I know looked at the x-ray on the right, just C4-C7, and said it looked like a 40 – 50 year old. The 19 year old was involved in a trampoline accident over 10 years ago. They had some neck pain but the pain went away and it was forgotten about. Now this person has a long life ahead of them with lots of work to do to stop or slow down the degeneration. When statistics show us that by the the time our child has reached 10 years old they have had 200 significant falls, we see why chiropractic care for children is so important. When a subluxation can be detected before it degenerates and it’s adjusted to its proper place, the tissues can heal properly and a child is given a second chance. 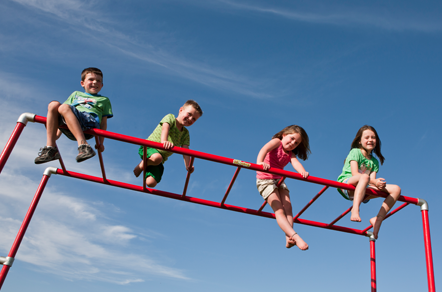 How many times did you fall off the monkey bars to get where you are now? How many times did you get checked by a chiropractor? How many times should you have been checked by a chiropractor?